PERHAPS with too much time on his hands (and too little imagination), Jim Jarmusch decided to share his thoughts on the wildly popular vampire genre. 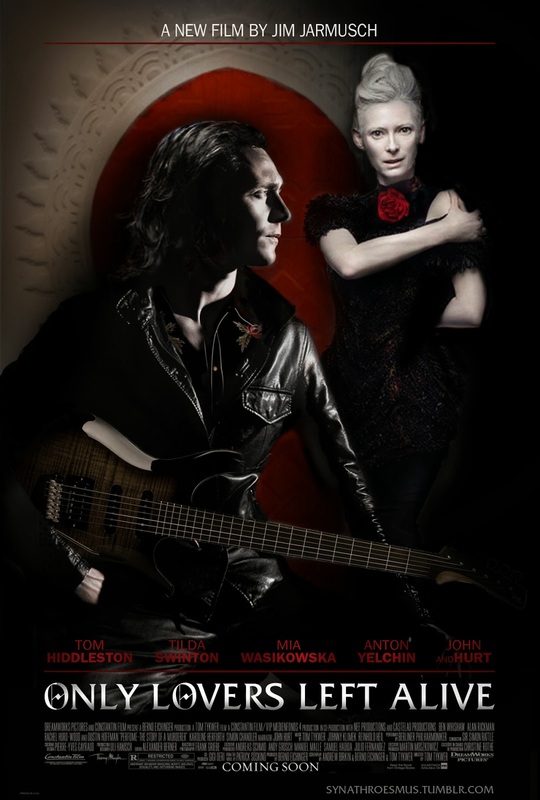 His contribution is “Only Lovers Left Alive. Starring the winning duo of Tilda Swinton and Tom Hiddleston, it makes it U.S. debut this evening at The 51st New York Film Festival. TS and TH are likable as an attractive, centuries-old couple, especially when they recall associates such as Darwin and Faust – wink, smirk. Alas, the vampire genre has been done to death. Nothing here is particularly interesting. Not so for “All is Lost,” J.C. Chandor’s sophomore effort starring Robert Redford. It has the second screening of its North American premiere tonight. (See trailer at top). It has been many a moon since RR undertook a role worthy of his acting prowess. Here is one that he sinks his teeth – and seemingly every other body part – into. He is a lone man stranded on the Indian Ocean in a battered boat. Anguish and a determination to live are palpable in his every twitch. The Sundance film festival founder has virtually no lines, yet this is one of his best roles ever. “All is Lost” is proof-positive that acting is far more than speaking lines.